Shaker Heights athletes took 1st and 2nd place in the 3200m race. 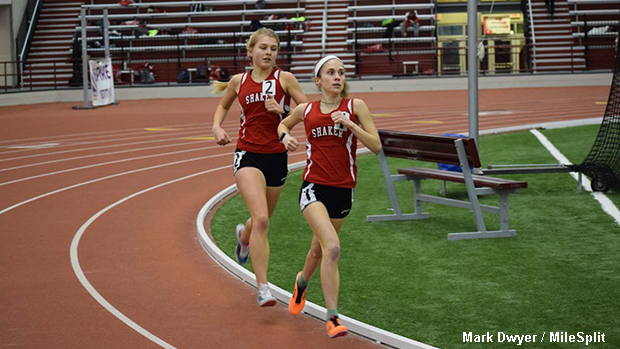 The latest meet in the NEOITC series took place at the SPIRE Institute on Thursday evening and, like their counterparts from the Buckeye Division the week before, the athletes from the Erie Division posted fast times and impressive marks. Continue reading about some of the event winners.